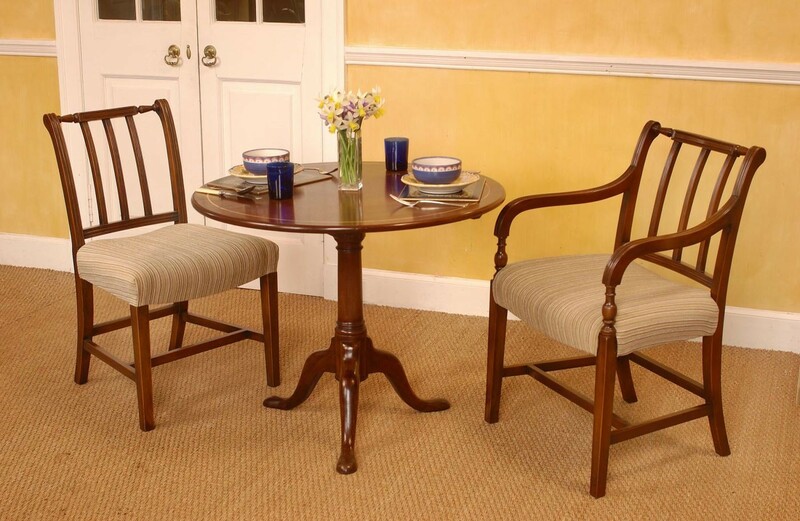 An attractive traditional pedestal table made in mahogany. The top flips up for easy storage. It is shown here with a pair of Gwyn dining chairs.